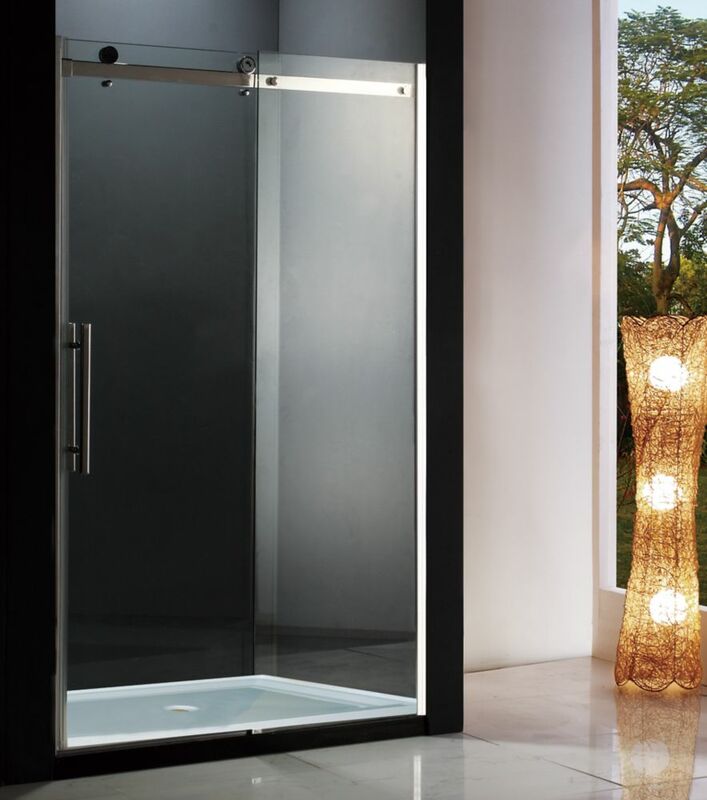 Simple, yet sophisticated, the Riga shower door will surely create a whole new look in your bathroom. With its modern roller system and clear tempered glass, this shower door can modernize any homeowner's bathroom. Riga 48-Inch Shower Door with Base Simple, yet sophisticated, the Riga shower door will surely create a whole new look in your bathroom. With its modern roller system and clear tempered glass, this shower door can modernize any homeowner's bathroom.